In my corner of the world, April has been gently unfolding her days. Some days offered lovely warm ones; others brought hints of snow, and now this week we've had a few soft rainy, misty ones. Spring as it should be. And after that nice rain, talk about the green popping out everywhere. Temperatures still hover near freezing most nights, so we are not quite out of the woods. However, here in northerly Alberta, Canada, we do spot some eager Albertans out and about in their shorts and flipflops. When I was younger I might have been one of them; although still as eager to celebrate Spring, I am much less eager to feel the cold, still waspish north breeze on my bare toes and eyelashes. 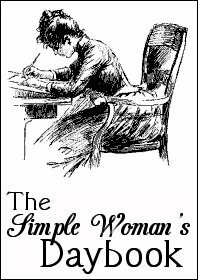 Today we finally post April's edition of The Simple Woman's Daybook -- it has been slow in the making. Usually I post it the first Monday of the month; now I've missed all of April's Mondays so it's going up today, done or not. Good thing I can make up the rules as I go along -- ha ha! Outside my window... Clear blue, sunny skies. The other day the resident squirrel was hanging on for dear life as he nibbled nuts from the swinging suet bag -- today it's only a gentle breeze blowing budding branches. Pairs of chickadees and purple finches begin their mating rituals. Robins sing their early morning welcomes, and in spite of landscaping underway in our yard, we've had the pleasure to see the season's early offerings of crocuses, tulips, and pockets of daffodils. A favourite scene from the movie: Two of the women arrive in Italy after a harrowing and tiring journey from London. It's dark and pouring rain. They are surprised -- where's the sunshine? Rose mutters something about how is this different from rainy London, and optimistic Lottie says, "It's Italian rain." I love that line. And, then there is the lovely oboe music from Elgar's "Chanson de Matin" that runs as a theme throughout. This music is partly what makes this film so charming for me, not to the mention the gorgeous scenery of sunshiny Italy in the springtime. I am thankful today... For my dear mom whose love for me all of my life has been a sure foundation. She may not have always known what a little girl needed, or secretly desired, but despite those imperfect times, I see more clearly than ever before in my life that there wasn't a minute that went by when she wasn't loving me with as much as she ever loved anyone or anything. And, that went for all her family. I see so clearly that those old places where sharp words once spoken in impatience or weariness were never from a place of deliberate meanness or unkindness. Goodness, how easy it suddenly becomes to let go of any funny old hurts or little resentments that might remain. Yes, I am so grateful for Mom's mother bear love all these years. She was and still is a good mom. I am wearing... Comfortable lounge-wear in black. No earrings, no lipstick even. For I am quite determined to get this post up today before I get distracted with any other business. I am creating... Lists for our upcoming trip to England and preparing some notes for a few blog posts to share some glimpses of our trip with you. Lots of English country gardens, including Downton's Highclere Castle, Sissinghurst Gardens, Hever Castle, to name a few. I am going... To immerse myself in the English countryside by reading three delightful books: Susan Branch's A Fine Romance and Helene Hanff's two memoirs, 84 Charing Cross Road and Duchess of Bloomsbury Street. All three are delightful reads to get me 'feeling and tasting and breathing English air' -- the sleeps are counting down in earnest now. I am wondering... what to make for supper tonight. Fingers tapping the table top. I know! Pasta with honey and wild garlic sausages. We had those before and they are wonderful with buttered noodles, maybe an Alfredo sauce too. I am hoping... To get the deck cleaned off from winter, and our round teak table and garden chairs with umbrella set up today. For the weatherman promises a warmer afternoon and it might be perfect sitting down for a nice cup of tea. In my garden... It's disheveled right now. We had to take down some old trees last fall from our backyard, including our beautiful lilac bush which was falling over. It was a sad moment when the arborist came. It was so barren afterwards. 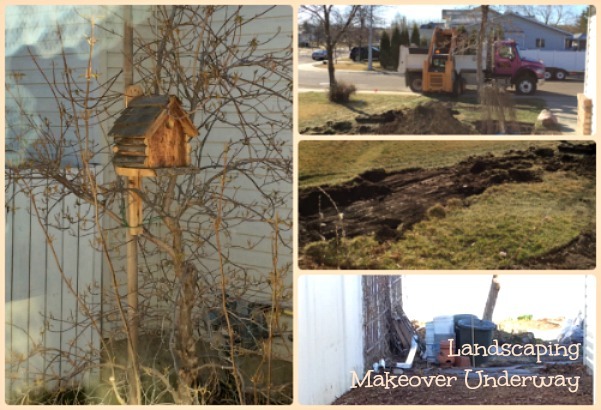 But all through winter we've had such an open and lovely view of the sky again from our kitchen and my office windows, that we're taking joy in this new temporary look, for the landscape makeovers include some new trees this Spring. And, just a couple of days ago, in the middle of upside-down, there pokes up from the still cool earth tiny green noses of tulips and daffodils. 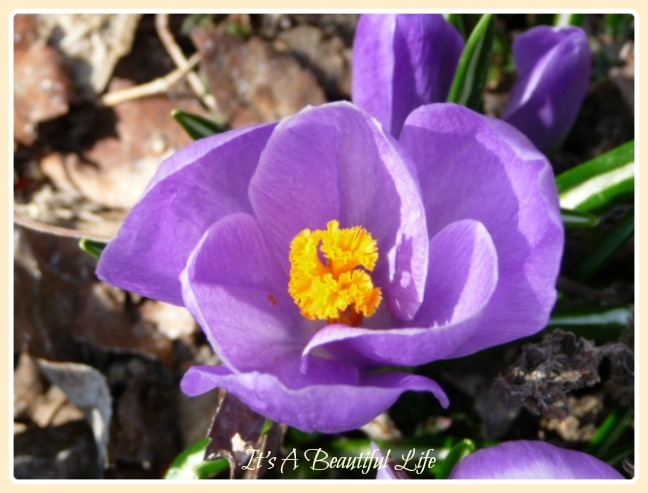 Tiny crocuses add glimpses of heaven in brown. In my kitchen... I've tended to hungry tummies by making homemade chicken vegetable soup with buttered noodles, baking powder biscuits to go with the soup, and fragrant and crunchy apple crisp. A peek into one of my days... I was at the local bookstore the other day shopping for a new journal. As I browsed all the other lovely Spring things they now carry besides books in the shop, a young fellow store clerk hurrying by, stopped and said, "Wow, I love the colours you're wearing today." And with that, he breezed off. It sure brought a bright grin to my face, it did! The same day as I'm now driving home from shopping, I passed a woman out walking her gorgeous German Shepherd. They were waiting at the corner for the traffic light to change. The Shepherd, sitting on his haunches maybe a little impatient to get going, dropped his ball which he's carrying in his mouth. It did a bounce-bounce. The woman bent to pick it up and gave it back. He looked thrilled. Makes me wonder if he dropped it on purpose. You could tell he was so happy to be out with his mom and his ball. I love sightings like that -- they make me happy. I felt this little rush of joy -- and thankfulness there are still people who know how to love their four-legged friends, and for dogs who can be happy with so small a treat. One of my favorite things... Catching glimpses of beauty and love in unexpected places. From Pinterest board room... Isn't this tea set lovely? 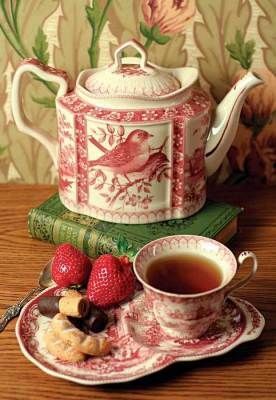 It would be perfect for a Mother's Day Tea or a May Day Strawberry Tea Party. It's done. I can go put my lipstick on now. On that note, I'm wishing you a beautiful day and may the last few days of April have some essence of 'enchantment' for you. I hope you are keeping an eye out for those glimpses of heaven in unexpected places -- for they are everywhere. 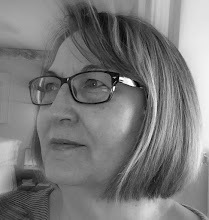 Brenda, I hope you enjoy your visit to England, and wish you were coming to the West country! But you will see some lovely places where you are going. The places to visit on your trip to England sound lovely, it will be here before you know it! I love to hear stories of random acts or words of kindness, sometimes it can make a huge difference to a person's day. Lovely to catch up with you and what you are up to. I love that Oscar Wilde quote, I wonder if the modern day equivalent is reading your blog on the train! Hope you have a wonderful visit to England! How nice to have a big trip to look forward to. We started watching Downton Abbey from the very start this week. It's so entertaining in the evenings to watch just one episode and then go for a walk. And how nice that you got a compliment when you were shopping. Hugs! Ah Brenda your world always looks so beautiful when I visit. I think it is because you are so aware of God's goodness and certainly take time to appreciate His gifts. Now I would love a cup of tea from that gorgeous tea pot. Thank you for sharing your daybook. Have a lovely day sweet friend. Hugs! The araprosdokians made me smile. I was thinking about The Enchanted April last week. It might be time for a rewatch! happines is to be found, although sometimes you have to let go of regrets and sadnesses...spring the perfect beginning over month!! This was a lovely post. A trip to England sounds so wonderful; just planning it must be such a treat as you anticipate all the spots you'll visit. I loved the movie Enchanted April, too. And as for your mom, it took me way too long to get over some hurts from childhood and continuing issues. I am so thankful that I've truly been able to put those aside, and realize too that mom always loved me, and to be able to enjoy her and all the good things about her. A real blessing. Brenda, you and I are kindred spirits. I can't tell you how much I enjoyed this post! And you get to go to England? Oh, you lucky girl! Someday I'd like to go there and see all the beautiful historical spots, especially the Lake District since I love Beatrix Potter so much. Thanks for this lovely tour of Spring! Thank you for commenting on my blog. I am glad you enjoyed my last blog post. I really enjoyed reading yours. hope your days get warmer soon. Spring is a beautiful season. 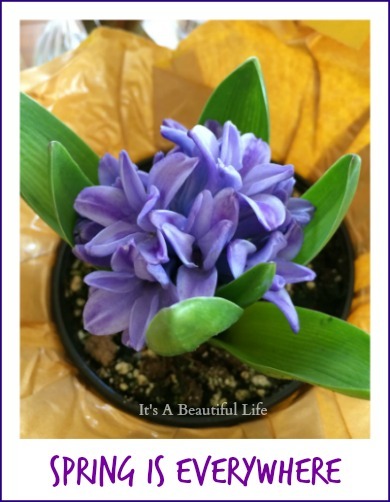 Such a delightful post - I felt like I was there at your table with you. I've just been re-reading The Enchanted April this past month (since it was April until today). I've not heard of the Duchess book, but will be looking it up. We, too, are looking forward to our trip to France and England, but it's not for two more months and I need to get through school first. I did call Paris this afternoon just to confirm our hotel reservations, and was so pleased that my French came easily, even over the telephone. The Victorian Trading tea set is a lovely one - perfect for accompanying scones and strawberries and Devonshire cream! Oh my goodness! As usual your wonderful blog posts meet me right where I am. Not too long ago I went to the basement of an antique store downtown and found a TREASURE. A copy of the book Enchanted April! It has a beautiful worn, red hardcover! The pages have that lovely type that makes indentations in the pages - typsetting? I don't know but I love that book! And my husband and I just watched the movie 84 Charing Cross Road. I had looked online for a used copy of the book just days before I read on Facebook that you were reading a book by Helene Hanff! You and I seem to truly be kindred spirits! I think if I lived in Canada or you lived in Virginia we could be the dearest of friends! It amazes me how very much we have in common. I am envious (sorry to say) of your trip to England. I cannot wait to hear all about it. 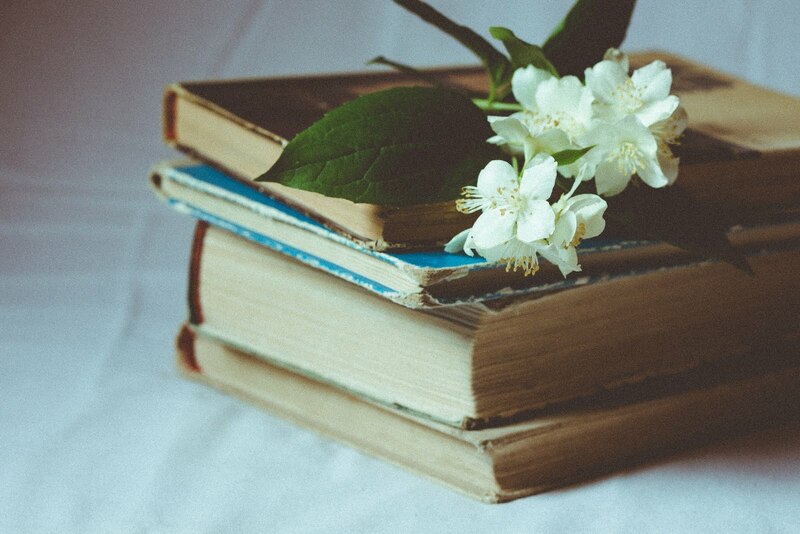 As usual reading one of your posts makes me want to have a cup of tea and open a delightful book! I'm leaving my job at the college for the weekend in 15 minutes and that's exactly what I'm going to do when I get home. Then it's movie night with my daughter! What a treat! 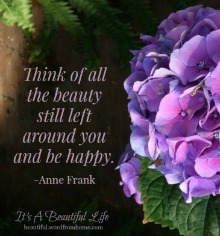 Love to you, dear Brenda and thank you so much for It's a Beautiful Life! Is there anything more wonderful than making a cup of tea and settling into one of your posts? You are such a delight to read, Brendy. I love Enchanted April, both the book and the film (and finally managed to track Elizabeth And Her German Garden), I love Helene Hanff (but please don't go to Charing Cross on your London trip, it will break your heart). I love everything. My life has been at fast pace, lately. I missed this post and now I have time to enjoy another of your thoughts and writings. You must be in England by now. Enjoy and come back ready to share with us all your findings!